If you ever go to Seoul, chances are a spa trip might be high on your list. Korea’s spa culture is world famous, and for good reason. Bath houses and saunas relax the soul and freshen the body – and if you can do this on a daily basis, at a decent price, you’d be a fool to turn down the opportunity. Korea is certainly famous for its everyday jimjilbangs (bath houses), but what about if you want to go all in? 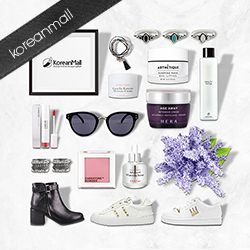 A true pampering from head to toe? One of the most celebrated spas in Korea is the Shangpree spa – established in 1990, it has grown substantially since then and is now a global presence with its associated skincare brand being sold in upmarket retailers around the world, such as London’s luxury department store Harrods. The Shangpree spa was established with the idea of providing ‘advanced holistic therapies’ which focus on the root cause of skin & body problems. For me, the spa experience in Korea was all about this message – healing the body and skin from within and going deeper than simply assaulting it with creams and lotions. In Korea, I learnt to care for my mind, body, and skin all at once, and truly understand the connection between them all. I think this is what I appreciated most about the approach to beauty in Asia. I never got to visit Shangpree while I was in Seoul – I was always there on public holidays when, of course, they were closed. I lusted after a facial, a treatment, an anything really. I have a side that just itches to spend money and it can be pretty hard to control. As much as I wanted to go to Shangpree, I didn’t really realise while I was there that there was a skincare line I could have been happily throwing money at too. The Shangpree skincare line is probably most famed for its hydrogel eye patches (which have stellar reviews from the Instagram community) and the modelling masks, which are quite pricey but totally worth the splurge if you fancy a true at home spa experience. Today, however, we’re going to be talking about the S-Energy Long Lasted Concentrated Serum, which other than being a mouthful, is part of a line developed by Shangpree to combat signs of ageing and environmental damage. The S-Energy Serum was four years in the making, from birth to completion, with refinement after refinement to create the perfect serum. Alicia Yoon swears by it, and has included into the illustrious Peach and Lily curation. Suffice to say this product has some expectations to live up to. This serum contains hydrolysed silk, which not only sounds luscious, soft, and beautiful, but has the ability to bind moisture into the skin, and form a protective barrier. This makes it ideal in preventative skincare, as both properties are something to consider when looking for anti-ageing products. Other notable ingredients include sodium hyaluronate, the sodium salt of the famed hyaluronic acid, which binds water into the skin and keeps it looking plump and supple. It is another solid favourite in anti-ageing products, seeing as hyaluronic acid is naturally found in the skin, and boosting levels of it can help the skin to do its job at the level it always has done, once the ageing process starts. It also contains propolis, which has healing and antiseptic properties. Therefore, the serum should be plumping the skin, and restoring it to a more even, healthier looking complexion. The packaging is a very sleek looking hard plastic bottle/tube, which comes with a silvery plastic lid and does indeed look rather pretty. It is quite sturdy, for the clumsy like me among us, and I have dropped it a few times with no issues. The lid, however, comes off quite easily and this doesn’t make it ideal for taking around, say, on holiday. I didn’t fancy spilling a drop of the precious liquid in my bag. The product is dispensed through a pump, and one is usually enough. The bottle looks quite long and seems to hold a lot, but bear in mind that if you hold it up to the light you can actually see the bottle isn’t full, but has a plastic ‘level’ placed in it, so it looks bigger and as if it holds more product. This is very common in serums and essences, and indeed skincare products in general. 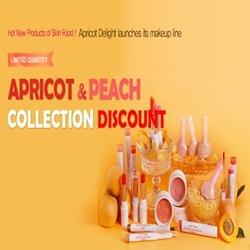 Look at the ml to get an idea of what you’re using – the Shangpree serum is 30ml, and costs about $80 in Korea (reference: 88,000 won at Gmarket, which translates to about $78.40 at time of writing), but $120 at Peach and Lily. At Korean prices, that’s about $2.60 per ml. The serum is incredibly light and watery, rubbing into the skin smoothly and with no sticky residue whatsoever. It feels lovely as you rub it into your face, like quenching a thirst. I use it between my essence and emulsion step, but you can switch it up – I generally follow the rule of lighter to thicker when it comes to my skincare routine. The scent is not strong, and smells vaguely of fermented ingredients – almost a light, fruity, peachy scent. It doesn’t stand out to me, and wouldn’t influence my opinion of the product in any way. It smells natural rather than fragranced and artificial, which is definitely a plus. Now, the moment of truth. After about a month of using this product, I have to say my skin’s experience with it is actually pretty normal – perhaps it doesn’t help that the price, the hype, and a lot of factors surrounding this product built it up in my head. It also doesn’t help that the product is built for anti-ageing purposes and is supposed to be preventative, which is one of the hardest types of skincare to see direct results from on younger skin (I’m 28 so am just starting with preventative measures). Things that I noticed were my skin feeling a little plumper, and it retaining moisture quite well through the day. It felt quite healthy, and because the product was so nice to apply and absorbed quickly, I could definitely feel that hit of hydration. However, regarding skin tone and overall ‘look’ of my skin, I haven’t noticed any special difference. My skin was relatively good before I started applying this serum, and it’s stayed that way – no improvements, just the same slight redness, but other than that quite clear with few breakouts. So, perhaps this product does indeed work, but seeing as my skin was already looking healthy, I don’t have anything to compare it to. I have enjoyed using it, and will continue to use it, but I feel that it gives me the same benefits as previous products I’ve used. Therefore, whether it’s worth it is hard to say for my personal experience. Perhaps if I lived in Korea again, I would consider it at the price of 88,000 won. I would be intrigued to see how it worked long term, and I would perhaps feel like treating myself – but at the price I’ve seen it at some places abroad, I don’t know if I could justify it to myself. With anything in skincare, you must consider what you can afford, and what you’re looking for personally. If Alicia Yoon loves this – and she had a testing panel who did too – perhaps it might mean that you’re one of the lucky ones who find it fabulous. For me, however, and my personal experience, I think it’s a normal serum. It did some of what it was supposed to, and I can’t really ask for more than that – but for a luxury item, it’s a shame. One day, when I visit Seoul again, Shangpree will be my first port of call…and perhaps I’ll be able to revisit my experience of this serum with a few more wrinkles and lines under my belt. I have this bottle waiting to get opened! Alicia recommended this to me personally at the NYC Sample Sale and I had to grab a few bottles (to also share with my mom)! She said it’s one of the few products she notices a difference when she stops using it and then starts using it again in her routine!